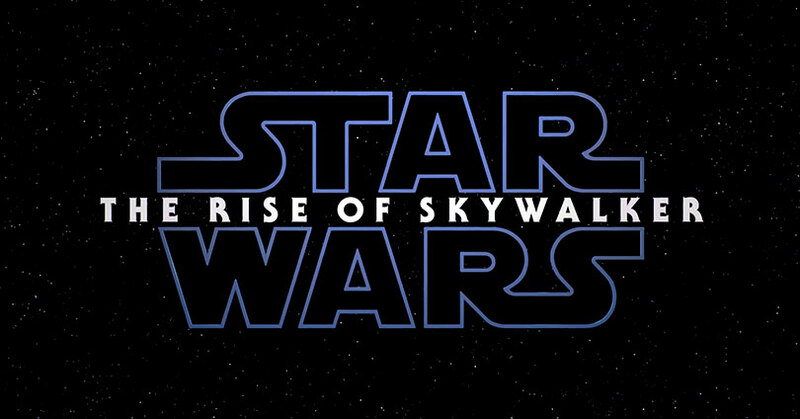 As for the Episode IX panel itself… Sadly, Episode IX will be the final film in the Skywalker Saga. “This is the third act of a three-act structure,” said Kathleen Kennedy. “That’s exactly what it is. We immersed ourselves in everything George created, talked about it endlessly, and we’re so excited.” However, Abrams was quick to point out that the film also had to work as its own movie. Of course, host Stephen Colbert had to ask both J.J. Abrams and Kathleen Kennedy about the loss of Carrie Fisher and her role in Episode IX. J.J. Abrams told the crowd that there’s no way that you can replace Carrie Fisher, and making a CGI version of Carrie Fisher was completely off the table. However, the film does use her unused scenes from The Force Awakens. With its connection to The Last Jedi, J.J. Abrams said that it doesn’t continue right after the end of Last Jedi. In addition, the group goes on this adventure together. That means Finn, Rey, Poe, and Chewbacca go on an intergalactic adventure. As to what kind of adventure they go on, details on that weren’t revealed. The panel also brought in the return of Billy Dee Williams as the suave and debonair, Lando Calrissian. Colbert asked him about how he’s able to find the character again after so many years. “How did I find Lando? 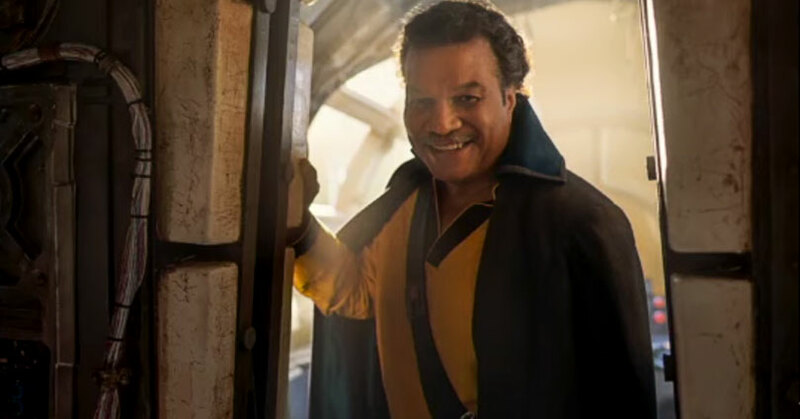 Lando never left me.” From the picture below, it really does seem like he never left. While Finn was trying to find himself in the past two films, Boyega says that Finn is now a full-fledged member of the Resistance. As you remember from The Last Jedi, the lightsaber that Rey uses was destroyed when both Kylo Ren and Rey tried to force grab it from both sides. But was it really gone? “The lightsaber that Rey inherits from Luke lives,” says Ridley. So we can only assume that Rey builds a new lightsaber from the Kyber crystal from Luke’s lightsaber. Otherwise, how else would you explain that the lightsaber comes back? The other big question was does Rey get new force powers? J.J. nervously wouldn’t divulge on that, so one can only assume that there will be new powers coming. 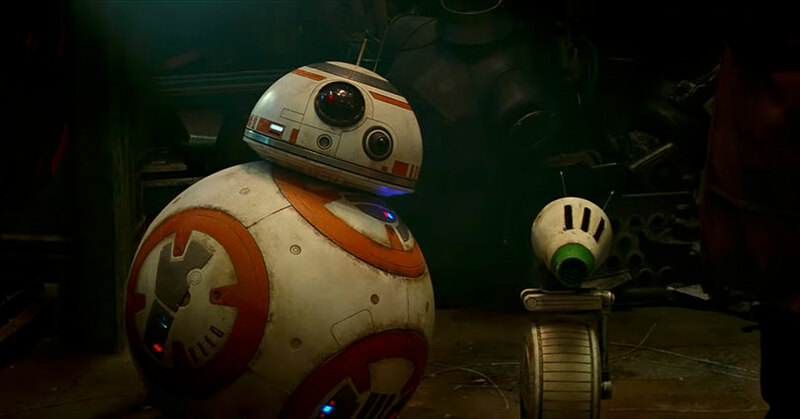 If that wasn’t enough, J.J. Abrams also introduced a brand new friend for BB-8—a droid called Dio. As you can see from the picture below, Dio is a small tiny unicycle droid that was made by the incredible Neal Scanlan special effects team. But the biggest reveal came at the very end of the trailer when we heard the return of Emperor and his evil laugh. Ian McDiarmid, yes, will be returning as the Emperor in Episode IX. We don’t know whether or not he’ll be a clone similar to Tom Veitch’s “Dark Empire” storyline. Another theory could be that the Emperor is actually a force ghost. With Kylo Ren struggling with his Skywalker lineage, Palpatine could come in as a force ghost to sway Ben more towards the dark side. After all, we haven’t seen a Sith become a force ghost yet in the movies. Be sure to give your theories on the new title below!